First language attrition (L1) studies are a comparably young and theoretically unspecified field of research in bilingualism. Young, because the first scientifically acclaimed, related article, Andersen’s “Determining the linguistic attributes of language attrition,” was only published in 1982. (For comparison, Lennenberg’s monograph Biological foundations of language, widely cited in second language acquisition (SLA) studies, was published as early as 1967.) Theoretically unspecified, because most studies concerned with L1 attrition offer a well-derived discussion of data, but fail to apply theoretical framework or formulate groundbreaking hypotheses (Schmid & Köpke, 2007). However, in the last few years there has been a rise in theoretically-informed L1 attrition research. As a result, the present paper investigates which factors impacted on first language attrition in German Jews who were forced to leave Germany for a foreign country during the reign of the Nazis (1933-1945). Relying on case studies, I posit that age and attitude were the most influential factors impacting the loss of German as a first language (GFL) among German-Jewish emigrants. In the first part of the paper, I give a general definition of L1 attrition, as well as an introduction to recent trends in L1 attrition studies. L1 attrition has to be regarded as a process shaped by integrated, interrelated factors, which may be extralinguistic, such as attitude and identity, or age-related. Drawing on the foregoing, I go on with a short discussion of a linguistic theory termed Dynamic Systems Theory (DST). Followers of this theory postulate that language can be viewed as a dynamical system (de Bot, 2007). Moreover, I focus on two selected factors that play an essential part in L1 attrition among German Jews and in general, namely age and attitude. First, a general discussion of both factors are presented: I draw on current articles by Bylund (2009) and Köpke (2004) who trace back differences in L1 attrition to the age of onset of bilingual development. In addition, I refer to Cherciov (2013) who adopts a DST perspective to examine the influence of attitude and identity on L1 attrition. Second, the analytical part of the paper concentrates on a corpus of interviews with German Jews conducted by the Mahn- und Gedenkstätte Düsseldorf and assessed by Schmid (2004, 2012). After reviewing Schmid’s method, I point out the importance of age and attitude. I also shed light on the fact that age-related and attitudinal factors appear to be far more profound than exposure in the case of attriting German Jews. Of course, the situation for Jews in Nazi Germany is illustrated to some extent. Jewish refugees from the region between Poland and Germany arrive in London via the Kindertransport program, February 1939. Language attrition, as defined by Chin and Wigglesworth (2007, p. 71), “refers to the process whereby an individual’s ability to speak and understand a language is reduced.” The scholars go on to say that language attrition is both a psycholinguistic and sociolinguistic process: thus, a reduction of language use is triggered by individual experiences, as well as social variables (ibid., p. 72). This paper focuses on first language (L1) loss in a second language (L2) environment. L1 attrition can be traced back to various causes, one of them, and by far the most frequent cause, is emigration to a foreign country, as in the case of German-Jewish migrants. Schmid and Köpke (2004, pp. 1-2) state that studies concerned with SLA and language attrition have been somewhat one-sided, as they either detected an L1 over-influence on L2 or an L2 over-influence on L1. This means that one language, either the developing or the attriting language, has been recognized as normal (meaning native-like), one as deviant. Nevertheless, interference between L1 and L2 should be considered as “bi-directional” (ibid., p. 4). Whenever one can detect traffic between L1 and L2, both linguistic systems undergo phonetic, phonological, grammatical, lexical, semantic, as well as pragmatic changes. This view argues for an integrated investigation of bilingual development. It has to be explored in how far an L1 system is prone to changes from the outside world, not only in how far it exerts influence over an L2 system (ibid., pp. 4-5). What is more, DST has become an increasingly popular trend in attrition studies: a theory based on the assumption that language, as well as language attrition can be viewed as a dynamical system in which numerous extralinguistic factors interdependently interact (see de Bot, 2007, and de Bot, 2008, for a more detailed discussion of DST). One of the points made by the followers of DST is that a fully developed L1 system is less susceptible to attrition (Schmid, Köpke, & de Bot, 2012, pp. 675-676). This view is underpinned by stark differences in L1 proficiency between pre- and post-puberty migrants. Results from Schmid (collected under test conditions) indicate that German Jews who emigrated at the age of 11 make a higher amount of case-marking errors per 1000 words than German Jews who emigrated at the age of 14. However, the authors state that the real-life-language use (meaning accuracy and fluency in conversational language) of an attriting person provides the most realistic and holistic picture of an attrition process. Thus, when using DST as a framework for analyzing attrition, researchers should base their studies on free-spoken data mostly (ibid., pp. 677-682). Maturational factors, i.e. factors linked to the (biological or cognitive) maturation of a person, seem to be of interest when studying L1 attrition. Subsequently, I make an attempt at explaining in how far age differences engender different levels of attrition. To begin with, Bylund (2009, pp. 688-689) applies notions of Lennenberg’s (1967) Critical Period Hypothesis (CPH) to attrition. SLA research has tried to explain variations in L2 learning with the help of a Critical Period (CP): as it was observed that L2 learners with varying ages of onset also vary in L2 proficiency, it was concluded that there has to be some CP, an age restriction so to say, after which native-like proficiency is no longer in reach. Although there is no agreement as to how such a CP can be determined, certain variants of the CPH can be transferred to L1 attrition. Evidently, attrition found in children is fast and forceful, whereas attrition found in adults is often comparably inconsiderable, for their L1 system remains mostly stable. Drawing on this view, it can be formulated that the younger a person is at the separation from a linguistic environment, termed “age of reduced L1 contact,” the more susceptible they will be to L1 attrition (ibid., p. 690). Similarly, Köpke (2004, p. 7) also remarks that the “[a]ge at the onset of bilingualism and/or attrition has been found to be one of the most important factors involved in attrition.” She goes on to say that in attrition studies there is consensus on one point, namely that non-pathological attrition in children is more rapid and severe than in adults. The case of a 64-year-old man, who left Germany for Canada over 30 years ago, serves as evidence: Even though the aforesaid man had some problems in terms of L1 performance (lexical retrieval, free speech), his L1 competence (grammar) had remained unaffected (ibid., p. 8). Generally, age-related differences can be ascribed to the fact that a child-age L1 which has been learned implicitly and more or less un-knowingly, is easier replaced by an L2 than an adult-age L1 which has (also) been learned analytically, for example in school (ibid., p. 16). Referring to the foregoing, one seminal conclusion can be drawn: age and maturity play an overriding role in L1 attrition (and SLA), as has also been proven by DST (cf. chapter 2.1.). Digging deeper into the issue of L1 attrition, one interesting question arises: to what extent, do attitudes and identity constructs have an impact on language loss? Prescher (2007, p. 193) writes that “language can be seen as an inseparable part of one’s identity since we use it to construct, tell and retell our life-stories.” Thus, what bilinguals think they are can be translated into either L1 or L2 memories. If certain traumatic but abiding memories are associated with the L1 system, a preference for the new L2 is highly probable (ibid., pp. 193-194). Likewise, Cherciov (2013, p. 718) makes the statement that attitude is “the operative extralinguistic factor” in both L1 attrition and SLA, meaning that attitudinal factors have a considerable influence on language use, for they are linked to a person’s identity. Hence, attitude can be defined as an identity-based “pre-disposition” which shapes a person’s way of evaluating and reacting in certain situations or to certain objects, animate or inanimate (ibid., p. 718). The DST can be used as a theoretical framework in order to lay bare the relation between attitude and attrition. As a short recourse, the DST is based on motion and exchange within a linguistic system: “[t]he DST approach predicts that different variables, such as motivation, attitude, language use and choice interact in learning or maintaining a language” (ibid., p. 720). From a DST perspective, attitudes have a strong impact on attrition: for example, a positive attitude towards the L1 system is expected to encourage a migrant to maintain their L1, whereas a negative attitude is likely to prevent such a practice of maintenance. Following this argumentation, attrition cannot be viewed as a linear and reasonably foreseeable process: a sudden change of attitude, which might occur on account of changing life circumstances, no matter if socially- or psychologically-induced, can bring about unexpected cross-roads situations in the development of an L1 system (ibid., p. 720). A study involving 50 participants, who emigrated from Romania to Canada after the age of 17 and had been Canadian residents for at least 10 years, was used to underpin the DST perspective. The results indicated that attitudes “evolved across the life span and languages once rejected were embraced again” (ibid., p. 730). This substantiated the DST view that unexpected changes in attitude, coming along with certain life events, impact on attrition and maintenance. However, the DST view that a positive attitude fosters L1 maintenance appeared to be situational: migrants might not put much effort in maintaining their L1, if language does not represent an indispensable constituent of their identity. Besides, a new trend was discovered: for some of the migrants identity was no longer monolingual, but rather bilingual. This discovery goes hand in hand with the DST view that identities change with life circumstances, just like attitudes do (ibid., p. 730). In the end, it is made evident that studies occupied with attitude have to be both quantitative (e.g. questionnaires completed by the participants) and qualitative (interviews with the participants) in order “to capture the multifaceted nature of language loss in migrant contexts, as it is described by the DST approach” (ibid., p. 731). In her 2002 monograph First language attrition, use, and maintenance: The case of German Jews in Anglophone countries, Schmid linguistically assesses 54 interviews with German Jews who left the city of Düsseldorf when they were between 8 and 33 years old (at the time of the interview, they were between age 65 and 92). It is noteworthy that an amount of nine interviewees (between age 11 and 15) left Germany on a Kindertransport. What is more, the oral documents were collected by historians of the Mahn- und Gedenkstätte Düsseldorf (MGD) from 1994 to 1996. The interview participants were either visited in their new homelands (mostly England or North America) or, in case they had accepted an invitation to Düsseldorf, interviewed at the MGD. Depending on the interviewee’s choice, the interview was either held in English or German (Schmid, 2012, pp. 186-187). Afterwards, these interviews were linguistically checked upon by Schmid and some of her student assistants. This basically means that the free-spoken data were examined in terms of language choice, lexical, morphological, and syntactic complexity, accuracy (morphological and syntactic error production), as well as fluency (measurement of filled and unfilled pauses) (ibid., pp. 192-195). The following examination of the factor of age is based on a subcorpus of 27 interviews, nine of them with Kindertransport migrants, 18 with family migrants. As already mentioned, the interviewees were given the choice to either speak German or English with the interviewers. Bearing that in mind, Schmid (2012, p. 188) detected that younger speakers were more likely to use English (L2) instead of German (L1) than older speakers: among speakers whose age at migration (AAM) was below 11 (meaning family migrants, not Kindertransport migrants) the selected interview language was invariably English. It also seems interesting to compare family migrants and Kindertransport migrants. On the family migrants side, 57,8% chose German, 20% mixed codes, and 22,2% preferred German, whilst one the Kindertransport side, 77,8% chose German, no-one mixed codes, and 22,2% preferred English (ibid., p. 188). Hence, in terms of language choice the factor of age is evidently significant, for there seems to be a maturational constraint determining the amount of L1 attrition rather than a special setting or the amount of exposure. After all, the language choices made by the Kindertransport migrants, whose L1 exposure broke at the point of migration, did not deviate from those of the family migrants, for whom L1 exposure was still prevalent after the migration. The foregoing indicates that the AAM had a serious impact on L1 attrition: the vast majority of speakers who refused German as the interview language were family migrants having emigrated below the age of 11. Strangely enough, it is most likely that they were still exposed to German on a daily basis after the migration. 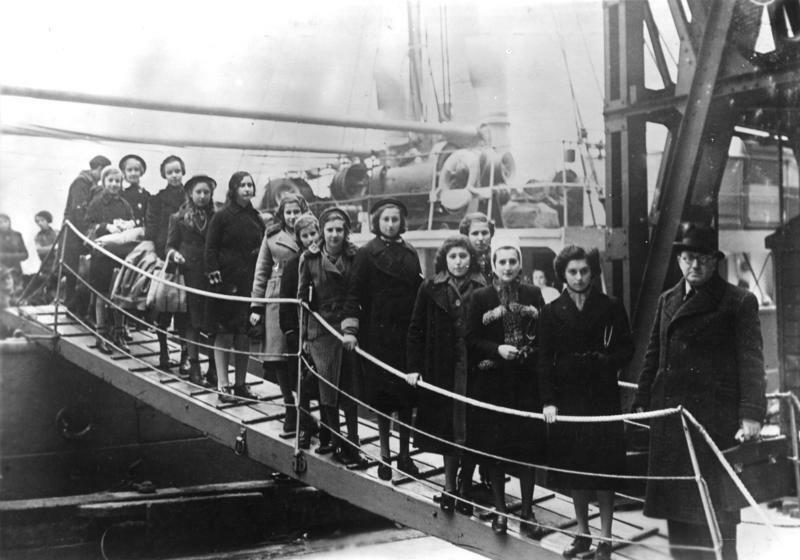 Contrariwise, the vast majority of Kindertransport migrants, who were between age 11 and 15 when they emigrated and thereafter lost L1 contact, were willing to conduct the interview in German. As a consequence, Schmid (2012, p. 189) suggests that there must be “a break-off around age 11” that regulates a person’s susceptibility to L1 attrition in more pervasive ways than setting and exposure do. Der Student küsst den Studenten vs. The student kisses the student. Additionally, for instance, German has three gender-based definite articles, namely der (masc. ), die (fem. ), and das (neut. ), whereas English only has one, namely the. In order to ascertain results, stretches of 1.000 spoken words were scrutinized with regard to the overall amount of NPs marked for case and gender. This was done in order to detect a possible regression of case marking and gender agreement due to L2 exposure (ibid., p. 193). With respect to case marking family and Kindertransport migrants were almost indistinguishable: for family migrants the mean average use of dative NPs amounted to 21,11%, for Kindertransport migrants it was 19,68%. The results concerning nominative and accusative NPs were also nearly identical for both migrant groups. In addition, the results concerning gender revealed a certain likeness: on the on hand, 47,02% feminine NPs, 23,75% masculine NPs, and 29,23% neuter NPs occurred among family migrants, on the other hand, 44,57% feminine NPs, 24,98% masculine NPs, and 30,44% neuter NPs among Kindertransport migrants (ibid., p. 196). Hence, regarding morphological NP complexity family and Kindertransport migrants showed no differences in L1 performance. Taking a closer look at VP morphology, German and English differ with regard to aspect. In English, aspect is, for example, required to draw a necessary parting line between simple and periphrastic past. Schmid (2012, p. 193) avails herself of the following example to illustrate in how far the two past tenses are distinguishable from one another: “‘I lived there for two years’ => I am no longer living there, ‘I have lived there for two years’ => I am still living there (or did so until very recently).” Conversely, in German this distinction between simple (lebte) and periphrastic (habe gelebt) past is situational not aspectual: the periphrastic past is favored in free speech, whilst the simple past is favored in written language. Once again, an amount of 1.000 words was assessed in order to ascertain the proportion of simple and periphrastic past. It was presumed that if L1 attrition in a speaker was highly developed, they would tend to overuse the simple past in free-spoken German (ibid., p. 193). Interestingly, the mean average of simple past use among family migrants (65,66%) was not significantly at variance with the results of the Kindertransport migrants (58,48%) (ibid., p. 196). Both groups did not overuse the simple past. However, when morphological accuracy was concerned the family migrant group outperformed the Kindertransport migrant group. The average of case and VP errors made by Kindertransport migrants (0,81%) per 1.000 words positively deviated from the average of case and VP errors made by family migrants (2,35%) per 1.000 words (ibid., p. 196). As a matter of fact, the application of German morphological rules was the only area of L1 performance that presented a particularly consistent problem to the Kindertransport migrants. The complete cessation of exposure might offer a satisfying explanation in this case, for, after all, Kindertransport migration to an L2 context probably cut off all gateways to L1. However, it has to be noted and borne in mind that the difference between family migrants (L1 contact after migration) and Kindertransport migrants (complete cessation of L1 contact) was but marginal: “none of the variables measuring lexical diversity, overall morphosyntactic complexity and fluency show any difference between the two groups” (ibid., p. 197). Above that, it is remarkable that the Kindertransport migrants “still compared very favorably with a highly advanced L2 learner of German” in terms of morphological errors (ibid., p. 202). Apparently, the factor of exposure exerted less influence over the Kindertransport migrants than the factor of age: even after several years of not using German these migrants still possessed native-like skills in L1 performance. This may very well be indebted to the fact that all members of this group had left their native country between age 11 and 15, i.e. at a point where they were already exposed to German in school, meaning on an academic level. Factually, this point is confirmed by Köpke’s (2004, p. 16) hypothesis that an explicitly-learned L1 is considerably less prone to replacement by L2 than an implicitly-learned L1. Andersen, R.W. (1982). Determining the linguistic attributes of language attrition. In R. Lambert & B. Freed (Eds. ), The Loss of Language Skills (pp. 83-118). Rowley, MA: Newbury House. Chin, N. B., & Wigglesworth, G. (2007). Bilingualism: An advanced resource book. Abingdon, Oxon: Routledge. De Bot, K. (2007). Dynamic systems theory, lifespan development and language attrition. In B. Köpke, M. S. Schmid, M. Keijzer, & S. Dostert (Eds. ), Language attrition: Theoretical perspectives (pp. 53-68). Amsterdam: John Benjamins. Lennenberg, E. H. (1967). Biological foundations of language. New York: Wiley. Prescher, P. (2007). Identity, immigration and first language attrition. In B. Köpke, M. S. Schmid, M. Keijzer, & S. Dostert (Eds. ), Language attrition: Theoretical perspectives (pp. 189-204). Amsterdam: John Benjamins. Schmid, M. S. (2002). First language attrition, use, and maintenance: The case of German Jews in Anglophone countries. Amsterdam: John Benjamins. Schmid, M. S. (2012). The impact of age and exposure on bilingual development in international adoptees and family migrants: A perspective from Holocaust survivors. Linguistic Approaches to Bilingualism, 2(2), 177-208. Schmid, M. S., & Köpke, B. (2007). Bilingualism and attrition. In B. Köpke, M. S. Schmid, M. Keijzer, & S. Dostert (Eds. ), Language attrition: Theoretical perspectives (pp. 1-8). Amsterdam: John Benjamins. Christian David Zeitz graduated in 2017 with a Masters degree in English Studies from University of Cologne in Koln, Germany.